Together, we can radiate grace into our world. 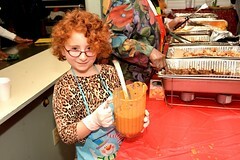 Our Social Action agenda summons us to feed the hungry, shelter the homeless, and educate our youth. Some of our diverse activities are described below. Find something that you feel passionate about and join our efforts to improve the lives of and build bridges to individuals in the Greater Boston Community. We are always seeking new ideas – and new members! 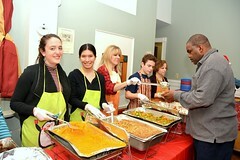 Please consider joining our efforts to improve lives and build bridges to individuals in the Greater Boston community. Join us as we gather together as a community to remember the Holocaust. 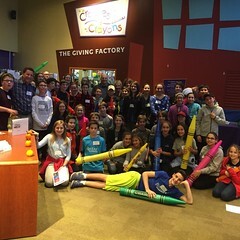 Volunteer and be part of these wonderful mitzvot! n the Boston Common. Contact: Steve Bloom. 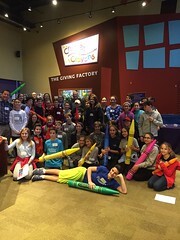 The Boston Jewish Coalition for Literacy: Temple Emanuel volunteers serve as reading tutors 1-2 hours per week at the Ohrenberger School in West Roxbury. Contact: Pam Weil. 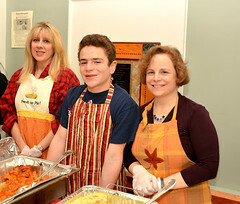 Family Table: This JF&CS program supports the only kosher food pantry in Boston and serves over 150 needy families. Contact: Wayne Purnell. 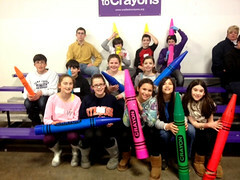 Greater Boston Food Bank: Volunteer with our Temple Emanuel group. The Greater Boston Food Bank (GBFB) is the largest hunger-relief organization in New England and among the largest food banks in the country. Volunteers will be sorting and organizing food for delivery to those in need. Volunteers need to be 16 or older. Contact Barbara Goldman. 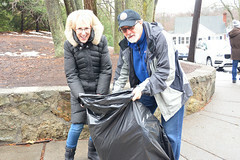 Newton Food Pantry: Great hands-on volunteer opportunity for Temple Emanuel members on Wednesday afternoons from 3:15 – 5:00 two times per month. Super community service opportunity for high school students! Contact Hope Suttin. 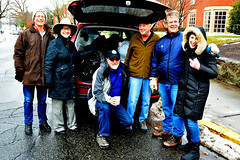 Winter Coat Drive: Each winter, Social Action Committee volunteers collect new and gently used coats and other winter wear to benefit the attendees of the Mass Avenue Baptist Church Soup Kitchen. Contact: Barbara Goldman or Ellen Kass. More Than Words is a nonprofit bookstore and cafe in Waltham and Boston that empowers youth who are in the foster care system, court involved, homeless, or out of school, to take charge of their lives by taking charge of a bookstore. Volunteers will be working with the involved youth to sort, scan, and ship books. Volunteers need to be 12 or older. For further information and to RSVP, contact Barbara Goldman. Volunteers needed to help with food and clothing distribution. For further information and to RSVP, contact Ellen Kass. Gift of Life Project: Want to save a life? Join the bone marrow donation registry or help enlist others. Contact Al Kaplan. 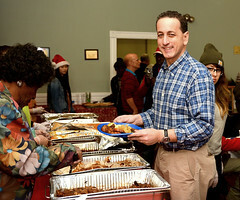 Project Manna Spring Concert: This annual concert, a highlight of the Temple calendar, brings together several talented choirs to support the Massachusetts Avenue Baptist Church Hot Meals Program. Contact: Penny Scharfman. Saturday’s Bread / Sunday’s Bread: We provide volunteer workers every 6 weeks to serve a mid-day meal to homeless people in Boston. Contact: Abby Flam or 617-795-0219. Temporarily suspended while Sunday’s Bread moves to its new location and renovates the facilities. Expected reopening, Spring 2016. 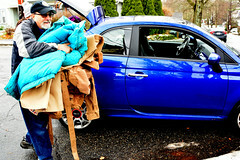 Furniture Drive: We run an annual drive to collect used furniture and household items for the Mass. Coalition for the Homeless Furniture Bank. Contact Michael Gardener. Please join us in one of the action groups below. Let us know which group or groups you’d like to join by contacting us by email. Lobbying – Work with MIRA and HIAS advocating for refugees with Federal and State agencies, circulating petitions etc. Tzedakah – Offer direct financial contributions and in-kind donations like furniture, houseware, clothing etc. Career and educational support – Preparing to assist with job placement, schooling options for children, schooling options for parents, advice and assistance transferring foreign degree to US degree, career counseling, ESL tutoring etc. Person-to-person – Initial welcoming and settlement, helping the family get acclimated in and around Boston, cultural opportunities, and any other needs that may arise such as helping to study for driving tests etc.